zedSuite (http://www.zedSuite.com), a leading SAP software solution and technology partner today announced that 2016 is officially the Year of the Portal. In 2016, self-service portals are more important than ever for SAP Business One® users. These key productivity tools – and revenue generators – allow customers and employees to work more efficiently than ever before. Enabling customers and stakeholders with self-service portal solutions for SAP Business One has always been at the core of zedSuite’s business strategy. With more and more of SAP Business One users looking to provide their stakeholders with access to their data from anywhere, self-service portals are beginning to evolve from cost-cutting tools to true profit centers for those running SAP Business One®. The recent announcement that zedSuite portals are now SAP HANA® compatible, and the upcoming launch of the all new Sales User for zed Employee Portal demonstrates zedSuite’s continued commitment to developing impactful portal solutions that contribute to their customers’ success. zedSuite (http://www.zedSuite.com) is a premier Web integration partner for extending the capabilities of SAP Business One beyond the walls of small to midsize enterprises, worldwide. Providing the right level of solution integration and customization to suit each customer, zedSuite empowers growing businesses to be innovative in providing the best value they can to their own customers, employees and stakeholders through SAP Business One and web technology. zedSuite is a member of the Group zed family of companies. 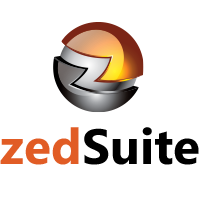 Group zed (http://www.gzed.com) is a privately owned and operated corporation, which provides its family of industry leading companies with the strategic vision and tools to deliver on the promise of technology to customers, setting them apart from other industry peers.